An intuitive tool fit for modern medicine. 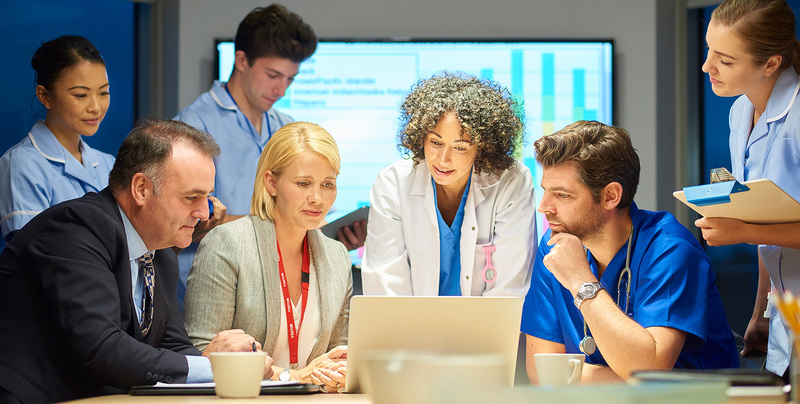 Technology continues to play a large part in the digital transformation of the healthcare industry, therefore, it is critical to have tools in place to provide pertinent clinical information that is actionable at the time of care. iVEDiX’s Digital Platform seamlessly integrates Electronic Medical Records [EMRs] and other healthcare data sources into one interface for Clinicians. This interface revolutionizes the experience of EMRs and drives efficiency that can save hours while improving the Clinician and patient experience. Unlock the value of EMRs so staff can be more responsive through custom patient health alerts and life-saving intelligence. An interactive digital workflow that automates, digitizes, and streamlines nurse rounding through a mobile application with a customized user experience. Orchestrate complex infrastructure with diverse connected assets and user groups into a money-saving big picture.